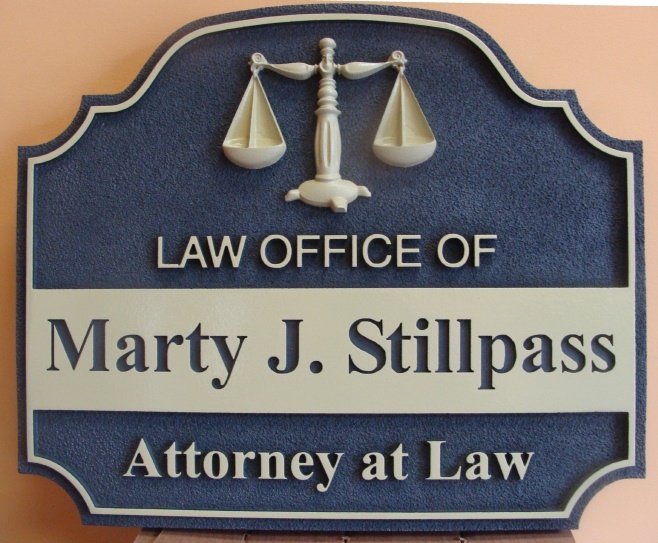 This HDU attorney sign has been both CNC routed and sandblasted in the background. It has both raised and engraved letters, and a wide variety of tasteful color schemes, including black & gold, white & black, black & silver, dark red or maroon & gold, dark (forest) green & gold, and navy blue & gold or silver. It can be ordered in any size from 18 inches wide to 60 inches wide, with any font style.